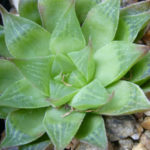 Haworthia turgida vary in leaf size, shape, marking, and growth habit. It forms small rosettes, up to 4 inches (10 cm) in diameter, with glassy green leaves with “crystalline” textures. 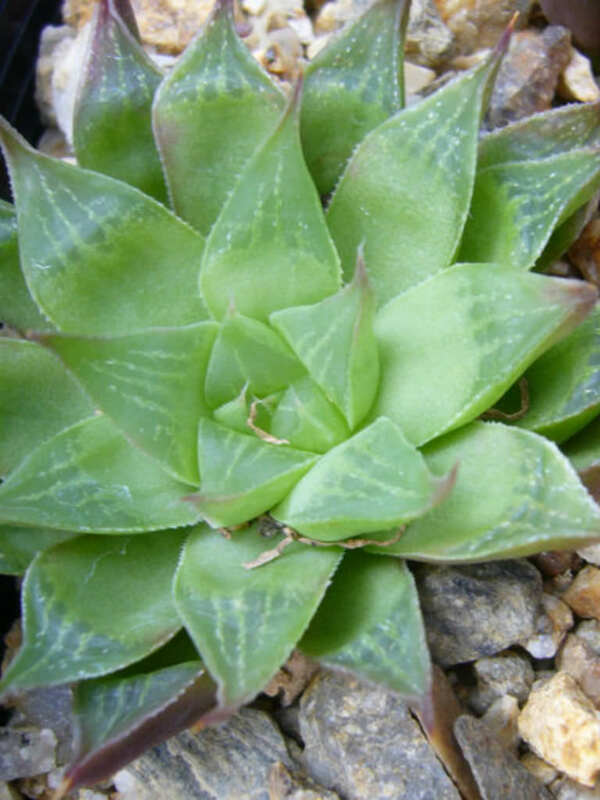 Leaves (20 to 40) are recurved at the tip, which is translucent and marked with green lines. 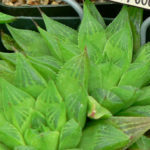 Haworthia turgida var. longibracteata has more erect and ovate lanceolate leaves. Becomes reddish in strong light. 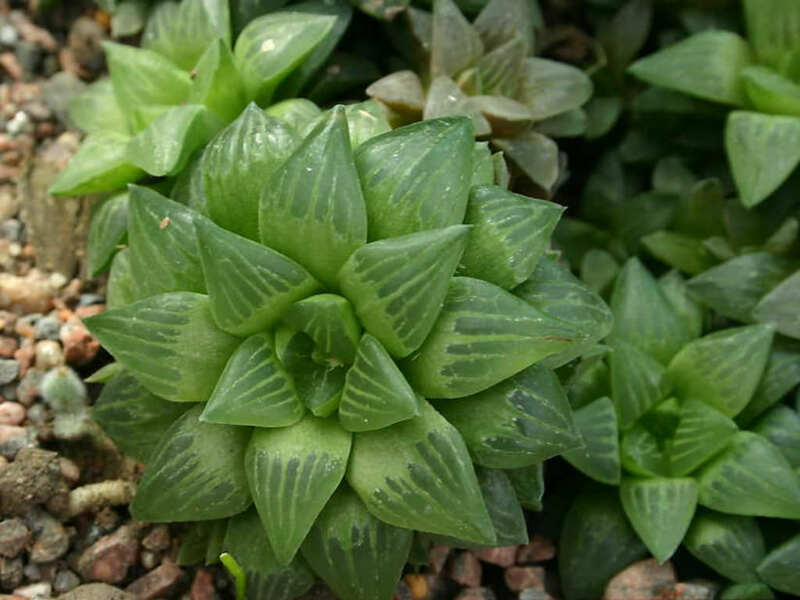 Offsets freely to form small clusters quickly. 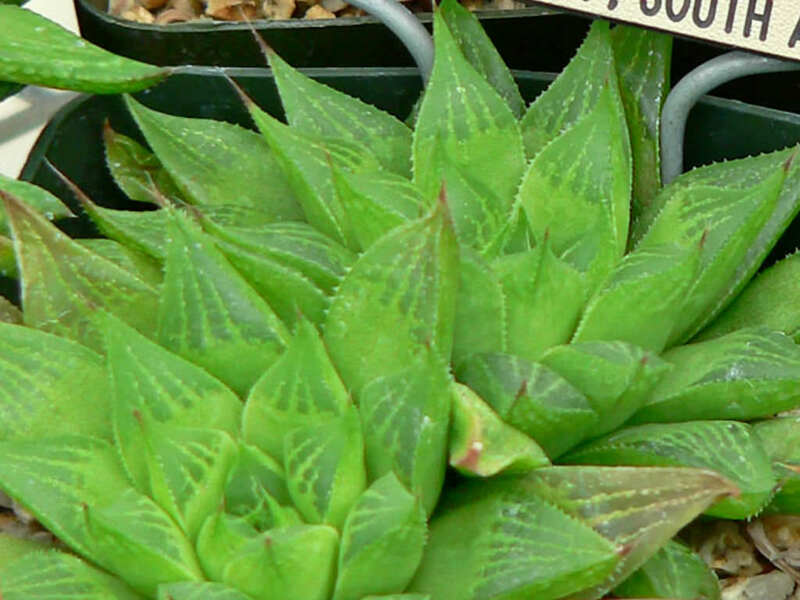 In spring, mature rosettes produce single, upright, wiry stems carrying tiny white tubular flowers.